Some property investors are now paying rates of close to 6 per cent. Summary: Mortgage rates have been ratcheted up since the start of the year, with investors paying up to 70 basis points more in some cases. Key take-out: The housing market is showing very early signs of cooling, leading some to suggest that an official rate cut may be on the Reserve Bank’s agenda. But don’t expect that to curtail out of cycle rate hikes by the banks. Australian property investors are in many cases paying close to 0.5 per cent more on their variable rate borrowings than they were at the start of 2017. While the Reserve Bank has now held the official cash rate at 1.5 per cent for a tenth straight month, research by Eureka Report has found that the major banks alone have collectively made more than 40 mortgage rate adjustments since January. The bulk of these have been increases, including owner-occupied residential mortgages on principal and interest repayment terms, and for those on interest-only facilities. But it appears the biggest rises have been on three-year fixed-rate investment facilities, with ANZ, Commonwealth Bank, NAB and Westpac having all lifted their rates in this range by between 0.5 per cent and 70 basis points. Rates in the investment category on principal and interest terms have also risen, but by not as much, with increases ranging from 25 basis points to 40. Eureka Report also has found at least one non-conforming loans lender which is now charging investors with multiple properties an additional 75 basis points on their interest-only loans. However, our queries with the major banks and other lenders found this practice is not widespread. 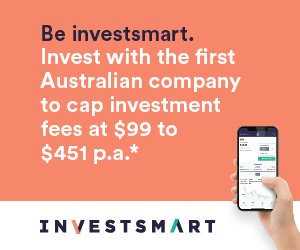 Standard variable rates offered by the big banks now range between 5.25 per cent and 5.32 per cent, with Macquarie Bank having taken an aggressive price lead with a principal and interest owner-occupied rate of 3.89 per cent. The steady increases in mortgage rates over the last six months reflect a range of factors, including moves by the Australian Prudential Regulation Authority that have required the big banks to reduce their investment lending levels and to keep more risk-weighted capital on their balance sheets as a hedge against problem loans. APRA’s primary objective, in sync with the Federal Government and the Reserve Bank, has been to cool down the Australian property market. And there are early signs that is taking effect, with auction clearance rates in Melbourne and Sydney having fallen in recent weeks. “Lenders are essentially doing the bidding for the Government and the Reserve Bank, because they want to stall investment lending,” said Canstar group executive, Financial Services, Steve Mickenbecker. Mickenbecker said the real risk to bank balance sheets is a sudden depreciation in the value of property, so there is good reason for the Reserve Bank to hold the official cash rate where it is. However, CoreLogic head of research Tim Lawless said there is the prospect of another rate cut further down the track. “While the cash rate has remained on hold in June, financial markets are starting to lean more towards a cut in official interest rates rather than a stable rate setting. Importantly, one of the key barriers to rate cuts - the hot housing markets of Sydney and Melbourne - have shown signs of slowing." He said if the recent slowing developed into a sustained trend, a rate cut may be on the cards. The last time rates were cut, which was May and August of 2016, the housing market reignited with capital gains accelerating and investors surging back into the market. The situation is very different now, with new macro prudential regulations dampening investment demand while mortgage rates have stepped higher, particularly for investors and interest only borrowers. In its commentary around the latest rates decision, Reserve bank governor Philip Lowe said conditions in the housing market varied considerably around the country. “Prices have been rising briskly in some markets, although there are some signs that these conditions are starting to ease,” he said. Lowe said the recent supervisory measures should help address the risks associated with high and rising levels of indebtedness. “Lenders have also announced increases in mortgage rates, particularly those paid by investors and on interest-only loans,” he said. The banks have certainly given the Reserve Bank a big helping hand, and one shouldn’t expect that to change in the near term. After all, higher loan margins translate into higher company profits.